To ask Her Majesty’s Government what is their assessment of the security, humanitarian, and human rights situation on the Korean Peninsula. debate will deprive us of several contributions, notably that of the noble Baroness, Lady O’Cathain, who has to chair a Select Committee. The Motion before us focuses, as I will, on three things: security, humanitarian needs and human rights concerns in North Korea. Since 2003, when, with my noble friend Lady Cox, I made the first of four visits to North Korea, I have served as chairman of the All-Party Group on North Korea. Last September, while in China, I visited the River Tumen, where many trying to leave the DPRK have lost their lives. “Our position is that the North Korean rocket launch is a violation of a UN Security Council resolution, so the council should react”. Even more significantly, China is also likely to support a new resolution this week-a significant diplomatic blow to Pyongyang, about which the Minister will doubtless say more. We are talking about the most militarised country on earth, with the world’s fourth largest army and biggest special forces. North Korea’s arsenal includes the full array of weapons of mass destruction: a plutonium-based nuclear weapons programme now supplemented by uranium enrichment; the world’s third largest chemical weapons arsenal; possible biological weapons; and a range of ballistic missiles. A failure to hammer out a long-term political settlement and a conflict triggered by a Sarajevo moment would replicate the horrendous haemorrhaging loss of life that saw the catastrophic deaths of around 3 million people in the Korean War. The 2010 sinking of the Cheonan and the shelling of Yeonpyeong Island underline North Korea’s capacity to initiate hostility, and, in the cyber domain, interference with the GPS systems of planes using Seoul’s busy airports, all indicate North Korea’s ability to inflict harm, short of invasion. “past records of inter-Korean relations show that confrontation between fellow countrymen leads to nothing but war”. “While we cannot allow the North to develop nuclear weapons … we must keep open the possibility of dialogue, including humanitarian aid”. peace process and the Hong Kong formula of two systems in one country. As the noble Baroness, Lady Thatcher, and Ronald Reagan clearly understood, advocating the use of soft power should not be confused with being a soft touch. President Park made reference to the dire humanitarian situation-my second point. Two million died during the 1990s North Korean famine. Our previous two excellent ambassadors in Pyongyang both issued warnings about the reappearance of malnutrition, as did the noble Baroness, Lady Amos, the United Nations Under-Secretary General for Humanitarian Affairs and Emergency Relief Co-ordinator, when she spoke to our all-party group last year. In July in the House I warned of the unacceptable use of food as a “weapon of war”. Food deprivation and malnutrition lead to physical frailty and stunting, long-term intellectual impairment and increased vulnerability to disease. North Korea’s leaders might reflect that the cost of their missile launch-more than £500 million-could have bought 2.5 million tonnes of corn and 1.4 million tonnes of rice. I hope that the Minister will give her assessment of the current food situation and Kim Jong-un’s recent announcements of Chinese-style agricultural reform, as well as her assessment of the welcome brokering by Jang Song-taek-Kim Jong-un’s uncle-of two new joint economic zones with China. Thirdly, on human rights, according to the United Nations, 200,000 people are languishing in festering prison camps-the kwan-li-so-where 400,000 people have died in the past 30 years. In an evidence session here, Shin Dong Hyok described how he was born and spent 23 years in Camp 14 and was tortured and subjected to forced labour. At 14, he was made to watch the execution of his mother and brother. BBC Radio 4 has broadcast extracts of his harrowing story The evidence given to our committee and described in a House of Commons debate initiated by Mrs Fiona Bruce MP include accounts of executions, torture, detention, forced labour, trafficking, religious persecution and the “guilt by association” policy, which leads to the arrest, imprisonment and punishment of detainees’ families for up to three generations. We have also heard of women impregnated by Chinese men facing forced abortions or infanticide following deportation by China. When did the British Government last raise with the Government of China the issues of forced repatriation, the absence of a refugee adjudication process, the denial of access by the UNHCR and the other matters to which I referred? A few months ago, I raised in your Lordships’ House the use of capital punishment. The noble and learned Lord, Lord Wallace of Tankerness, said that officials from the Foreign Office would reply to me on that point, but I still have not received a reply. “should not be allowed to overshadow the deplorable human rights situation … which in one way or another affects almost the entire population and has no parallel anywhere … in the world”. North Korea has never allowed United Nations special rapporteurs on human rights to enter the country, but with 25,000 North Koreans living in the south and an estimated 100,000 living illegally in China, there would be no shortage of evidence for such an inquiry to assess. Straightforwardly, do Her Majesty’s Government support the creation of a United Nations-sponsored commission of inquiry, and will we vote for it if it comes to a vote? Historians will surely question our generation’s extraordinary indifference to North Korea’s gulag archipelago. Looking to the future, an approach based on Helsinki-style engagement would surely seek to build on the small advances of recent years. One is in education. Here I make reference to the remarkable story of Pyongyang University of Science and Technology, to the first Chevening scholars at Cambridge, and to the use of English as the north’s second official language. 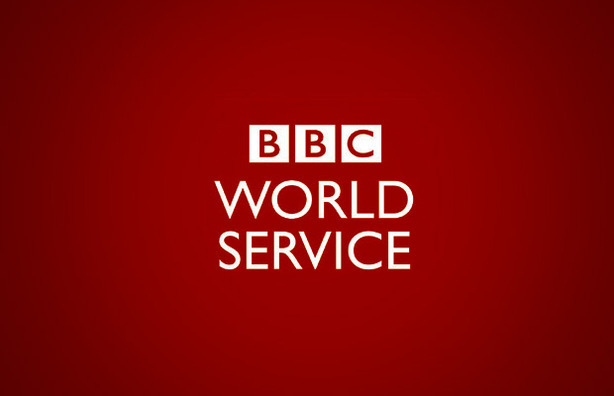 This should encourage the BBC World Service to respond positively to the 18 Korean organisations which have requested broadcasts to the Korean peninsula-an issue which Peter Horrocks, the director of BBC Global News, will address at the all-party group on Wednesday of this week. “Everyone has the right … to receive and impart information and ideas through any media and regardless of frontiers”. The World Service’s 80th anniversary-and its role in places such as the former Soviet Union and Burma-is a timely reminder of the power of ideas. We know that 14% of defectors say they listened to foreign broadcasts, and 44% of those questioned said that they admired foreign societies. Two weeks ago Eric Schmidt, the executive chairman of Google, and Bill Richardson, the former governor of New Mexico, were in North Korea urging internet freedom. Not to encourage reform, not to invest in promoting progress and not to break the information blockade would render pointless Britain’s millennium decision to forge diplomatic relations with the DPRK. We owe it to the coming generation, to the Koreans who perish during their hazardous escapes, to those who suffer from a lack of food or medicine, and to those who are the victims of an ideology that has become prisoner of its own rhetoric, to do better than simply offer Cassandra-like predictions of thermonuclear war-predictions which, if they came to pass, would reduce the whole peninsula to an irradiated cemetery. As today we assess the security, humanitarian and human rights challenges on the Korean peninsula, with the new leadership in the north and south and in China, too, and with today’s second-term inauguration of a United States President, surely there is a moment for change: a time to end the war and to replace it with long overdue peace and prosperity. Cox, are wonderful examples of good men and good women not remaining silent. The courage that was required to visit North Korea time and again in the face of all kinds of discouragements, fears and threats is greatly to the credit of them both, and they stand as Members of this House with every possible right to claim the respect and admiration of us all. I begin by saying about North Korea that it is, as indeed the noble Lord, Lord Alton, implied, a deeply traumatised state. It is a state with a very strong history of being victimised-by the Japanese, by the Chinese and by those in other countries-and one that has never really recovered its balance from that terrible history. The strange thing about North Korea-and in this respect I think it is unlike Iran-is that the idea that one might sacrifice one’s population to a nuclear attack does not seem to cross the minds of the North Korean regime in the way that I think it crosses the minds of all other regimes, including nuclear powers, such as India and Pakistan, and would-be nuclear powers, such as Iran. North Korea has destroyed or allowed the destruction of such a large part of its civilian population that the one great barrier against using a nuclear weapon-the fear of losing one’s own population-probably has less effect in North Korean than in any other country on the face of the earth. That is the most frightening thing about North Korea. It looks like a county whose regime would be capable of using a nuclear weapon because in the end saving the regime is more important than saving the population. Let us look briefly at the security history, although I wholly take the point of the noble Lord, Lord Alton, that that is in many ways secondary to the terrible, indescribably awful human rights regime that has been conducted for so long by this extraordinarily strange dynasty of Kim Il-sung and his successors, which has become a kind of secondary religious heresy demanding the deification of its own leadership. The story in North Korea is one of having walked away altogether from the nuclear non-proliferation treaty-the NPT-to which it originally belonged. It walked away from the NPT in order to breach some of the key provisions, one of the most important being that there would not be a continuation by its members of nuclear testing in the face of what has not been a new treaty, tragically, but what has certainly been a very long period of postponement and delay when no nuclear power, with the single exception of North Korea, has continued to test nuclear weapons. Other countries are frightening in their own way, but this direct breach of this key provision, widely morally accepted, if not legally accepted, is an extremely disturbing fact. North Korea has about five or six nuclear bombs, based, as the noble Lord, Lord Alton, rightly said, on the use of plutonium, ironically originally provided as part of the nuclear materials for peace movement in the United States in the 1970s. It broke the understanding and conditions of that provision of nuclear materials for peace by deliberately saving the plutonium from that programme and using it as the origins of its relatively small nuclear arsenal. The best information we have is that something between six and eight fully realised nuclear weapons are owned by North Korea. That is one of the smallest nuclear arsenals in the world but it is still one capable of creating immense and savage destruction. North Korea went ahead to produce a great many short-range ballistic missiles-we believe that it has some hundreds-and also medium-range ballistic missiles, of which it certainly has scores. What it has failed to do so far, with the exception that I shall come to in a moment, is to produce intercontinental ballistic missiles, which has become a major objective of the regime. By an intercontinental ballistic missile, we mean one with a range of more than 3,000 miles, capable of reaching Japan certainly, but also the west coast of the United States. The first attempt by North Korea in 2009 to develop an ICBM failed rather obviously and conspicuously and was noted with some satisfaction by the rest of the world. Tragically, only a month ago, on 12 December 2012, once again the regime-this time of Kim Jong-un, the son of Kim Jong-il-was successful and the missile managed to find its way across Japan, flying high above Japan but nevertheless into Japanese airspace, before it crashed some time later into the Pacific. It was clearly a successful intercontinental launch. At the moment, the belief generally held in the nuclear weapons community is that North Korea has not been able to miniaturise nuclear warheads to the point where the relatively small or low-power ICBMs it may be producing could carry them intercontinentally to a country such as the United States. But even having said that, the fact that it is now capable of launching such a package, although not yet miniaturising it to a point that it becomes effective, is obviously not far away from what could be a fully fledged ICBM carrying a nuclear warhead. The one piece of relatively good news is that the speech that the new “Young Leader” of North Korea made a few weeks ago to mark his taking over of power-although there was very little in it that was not Orwellian in its terminology and philosophy-contained a small sign of light when he spoke of creating a movement towards some kind of peaceful agreement with South Korea. The possibility therefore arises, which might be worth pursuing, of a non-nuclear Korean peninsula which fits into the pattern of the non-nuclear zones which have now been established from Latin America, by way of Africa, to parts of Asia. The offer lies on the table, as it has for several years, in the six-plus-one peace talks, of which North Korea is a member, that in return for a decision to end nuclear testing and development and fully to accept the additional protocol of the nuclear peace treaty, North Korea would then have opened to it investment, supplies of food aid and a willingness to allow it to rejoin the nuclear non-proliferation treaty. As the noble Lord, Lord Alton, pointed out, that is a fairly distant hope at the present time for a country as strange as this one. If anyone deserves such a response and the good will of the rest of the world, then the noble Lord, Lord Alton, and his colleague, the noble Baroness, Lady Cox, do. They have gone as far as human beings who are not themselves in government can go to try to bring it about. The Lord Bishop of Hereford: My Lords, I am grateful to the noble Lord, Lord Alton of Liverpool, for initiating this short debate. I have been able to attend some of the meetings organised by the all-party group, and particularly welcomed the chance in 2011 to meet the Speaker of the North Korean Assembly, Choe Tae Bok, when he visited the United Kingdom as the guest of that all-party group. Among the questions we touched upon during that discussion were the humanitarian situation and the issue of religious freedom, and today I should like to say something about both. Forty years ago, North Korea’s gross domestic product was twice that of South Korea. Today, North Korea is among the world’s poorest nations while the south is among the richest. Today, the gross domestic of South Korea is nearly 30 times that of the north-a 60-fold difference. The situation has been aggravated by famine, a series of natural disasters and the near total collapse of the Soviet economies, once the DPRK’s primary market, all of which have, of course, contributed to the country’s abject poverty. “more than one in every four children remains stunted, hostage to life-long ill-health and reduced educational and career prospects as a result of a lack of much needed proteins, fruits, vegetables and fats, as well as frequent infections due to a lack of both essential medicines and clean water, as well as poor hygiene”. On average, boys in North Korea are five inches shorter than their South Korean counterparts and weigh 25 pounds less. Malnutrition, of course, leads not only to physical weakness but to intellectual impairment. It leads to a frail population and makes the people especially vulnerable to disease. When the noble Lord, Lord Alton, and the noble Baroness, Lady Cox, visited North Korea, I understand that they were told by senior DPRK officials that the average citizen receives only a meagre 350 to 400 grams of rice each day, well short of even the regime’s sparse target of 600 grams. However, I understand that the reality in practice is that many see no rice at all, subsisting instead on husky cornmeal. Two million people are estimated to have died during the famine of the 1990s. In those circumstances, we need to think very carefully about the morality of food being used as a weapon of war or coercion. Surely it can never be right to withhold food from starving people as a way of punishing their leaders. It was a tragedy that the £126 million food programme which the United States had generously decided to put in place last year was literally blown off the agenda by North Korea’s decision to launch a satellite nine months ago. However, the North Korean leadership should also reflect on the morality of spending vast sums on developing a nuclear capability and on maintaining the world’s fourth largest standing army when they cannot feed their own people. That is surely a scandalous and immoral misuse of resources. “the most vulnerable people in North Korea are victims of a situation over which they have no control. They are suffering from no fault of their own”. South Korea’s decision to withhold food aid, supported by the Obama Administration, has inevitably put innocent lives at risk while doing nothing to bring about the end of the conflict between north and south. You cannot starve people into submission and you should never try. In May 2012, two organisations, Sant’Egidio and Caritas Korea, delivered 25 tonnes of food aid to the DPRK. That was done at the request of Han Tae-song, North Korea’s former ambassador to Rome. That is but a small contribution; nevertheless, it is an act on which we must build. It is not coincidental that those organisations which have been taking in food and medicine have often been inspired to do so by their Christian faith. I think, for instance, of the remarkable American priest, Father Jerry Hammond, who has made more than 40 visits to North Korea, taking in medicines to combat tuberculosis. Paradoxically, despite that outpouring of practical love, since the 18th century Korea has been the scene of much persecution of Christians. In 1846, Korea’s first ordained Catholic priest, Andrew Kim, was at the age of 25 taken to the Han sands, where he was stripped naked and decapitated; there have been more than 8,000 Catholic martyrs. In 1866, Robert Jermain Thomas, a Welsh missionary, travelled on behalf of the Bible Society to Pyongyang and to the Taedong river, where he was executed. The latest Open Doors World Watch List, published less than two weeks ago, ranks North Korea as the country where Christians are persecuted the most, as has been the case every year since the list was first published in 2002. Christians are motivated by love, believing that each person is made in the image of God and, because of that, worthy of the utmost respect and elevation of their human dignity. Religious freedom would bring untold blessings to North Korea, not least through the provision of sustained and significant programmes providing for food, education, welfare and health. Kang Pan Sok, the great-grandmother of Kim Jong-un, was the elder of a Christian church in Pyongyang, so the leadership of that country know from their own story that they have nothing to fear from the Christian faith. It would be a sign of great hope if perhaps, in her memory, her great-grandson could now see the way to opening the path for the church to play its part in building and helping to contribute to a prosperous and peaceful North Korea. Now there is something to hope and pray for. tireless dedication to highlighting the situation in North Korea and his endeavours to promote the interests of citizens living there. 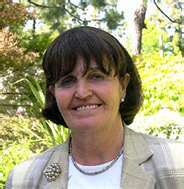 I also thank the noble Baroness, Lady Williams, for her very kind words. “little change in the … human rights situation in the DPRK”. I refer also to a recent statement by the UN High Commissioner for Human Rights, Navi Pillay, who, after describing the human rights situation in North Korea, said that the DPRK Government have not accepted assistance to help to review North Korea’s criminal code and criminal procedures code to help to bring North Korea into line with international obligations. Does that remain the case, and do the Government have any further information about the numbers and conditions in the network of prison camps in which, as has been mentioned, the United Nations has estimated that some 200,000 inmates languish? into human rights violations? If so, how? In the absence of access to the prison camps-a request that my noble friend and I have made repeatedly to the North Korean authorities-and given the denial of access to the UN special rapporteur, we have to rely on the testimonies of those who have managed to escape. It was such first-hand testimonies that, eight years ago, prompted my noble friend and myself to become engaged in dialogue with the authorities in Pyongyang. We believe in building bridges and using our freedoms to promote the freedoms of those who do not have freedom. “the State was indifferent to our lack of food”. “emphasise human rights as much as they have emphasised security questions”. My third example, Ahn Myeong-Cheol, aged 37, described how his father killed himself when he learnt that he had been heard criticising the regime, while his mother and brothers were sent to prison camps as a punishment for his criticism. Ahn was “re-educated” and became a prison guard, witnessing guard dogs, imported from Russia, tear three children to pieces and the camp warden congratulating the guard who had trained the dogs. After he escaped, Ahn published They Are Crying for Help, urging the international community not to look away from the human rights violations and crimes against humanity experienced on a daily basis by the North Korean people. “From the very first day, the guards with their rifles beat me. I was trampled on mercilessly until my legs became swollen, my eardrums were shattered, and my teeth were all broken. They wouldn’t allow us to sleep from 4 am till 10 pm and once while I was sleeping, they poured water over my head. Since the conditions within the prison were poor, my head became frostbitten from the bitter cold. Not a single day passed without receiving some form of torture and agonizing experience”. My fifth example, Lee Sung-ae, described how prison guards pulled out her finger-nails, destroyed all her lower teeth and poured water mixed with chillies into her nose. Finally, Kim Hye-sook was sent to gaol aged 13 because her grandfather had gone to South Korea. She spent 28 years in the prison camp; as a child she was forced to work in coal mines and witness public executions. In 2011 she showed the all-party group her paintings depicting the suffering she both witnessed and experienced, ranging from deprivation of food to public executions and even cannibalism. She wept as she spoke about the death of her son in the camp. According to Mr Narayan from Amnesty International, around 50,000 people are imprisoned in Camp 18, and two of every five prisoners die there. He showed the all-party group a DVD entitled “‘Hell holes’: North Korea’s Secret Prison Camps”, which may be viewed on YouTube. Capital punishment has also been used routinely. In one recent year there were 52 executions, including the Minister of Railways, Kim Yong-sam, and Vice Minister So Nam-sin. May I ask the Minister when the British Government last made representations to the DPRK about the use of capital punishment in that country? “The flow of information is the most important way of changing attitudes and breaking the vice-like grip on the population”. “The issue is back on the table”. Before I finish, I briefly refer to the humanitarian situation in DPRK, with especially dire needs in the field of healthcare. I am very hopeful that Merlin-I must declare an interest as a founder trustee-might be able to undertake a programme there. I hope that Her Majesty’s Government would be willing to consider sympathetically supporting such an initiative. The Korean people, both north and south, are gracious, courteous and hospitable. We must do all we can to help the people in North Korea to promote their human rights; to alleviate their humanitarian needs; and to support their peaceful progress, security and prosperity so that soon they may earn a respected place in the community of nations. Lord Black of Brentwood: My Lords, we are all indebted to the noble Lord, Lord Alton, for raising this important subject. I would certainly echo the very appropriate comments from my noble friend Lady Williams. As I want to talk about freedom of expression, I draw attention to my media interests in the register. The words of President Franklin D Roosevelt in his address to Congress in 1941 are probably some of his best known. It seems appropriate to talk about an American President in a stirring speech to Congress on a day like this. He looked forward to a world in which there were four fundamental freedoms. The first of these was freedom of expression, in his words “everywhere in the world”. For the benighted people of North Korea this most fundamental of human rights does not exist in any way and is not in prospect in any way. While South Korea has a relatively free press with near universal internet use-indeed it is one of the most connected in the entire world-North Korea remains the most repressive and isolated media environment in the world. The regime owns all media, attempts to regulate all communication and ruthlessly limits access to information. Both Reporters Without Borders and the Committee to Protect Journalists based in Washington place it right at the bottom of the international press freedom leagues, languishing alongside Eritrea. All information is distributed by the Government across radio and TV, which deliver a centrally composed message bombarding the population with flattering reports about their leaders, and never mentioning the economic hardship, the famine or the malnutrition-which the right reverend Prelate the Bishop of Hereford mentioned- all of which blight the country. Radio and TV sets are supplied pre-tuned to government stations, and radios must be registered with the police. Neighbourhood officials-I use the word advisedly-verify the government seals. Tampering with a set can result in the perpetrator being sent to a concentration camp. Under the penal code, listening to foreign broadcasts or reading so-called dissident publications are “crimes against the state” that carry terrible punishments including hard labour or, in some circumstances, the death penalty. According to Freedom House, the international free speech watchdog, in 2010 alone more than 1,000 people were arrested for possessing or watching foreign films acquired on the black market. for re-education. One such journalist, Song Keum-chul, was sent to a concentration camp a number of years ago and has never been heard of again. As we have heard, any form of contact with the outside world is rigorously controlled. Mobile phone use was permitted only in 2008, having been banned in 2004, but most of the 1.5 million mobile phones-and that is a tiny number in a country of 24 million-are in the hands of the country’s political, commercial and military elite. North Korea’s full connection to the internet occurred only in 2010, but for ordinary citizens web access is available only through a nationwide intranet that does not link to foreign sites. “As the world becomes increasingly connected, the North Korean decision to be virtually isolated is very much going to affect their physical world … It will make it harder for them to catch up economically”. That seems to be the crucial point, because freedom of expression is the foundation stone for economic growth. “Despite the incredibly low starting point, important changes in the information environment in North Korean society are underway”. In Japan, an organisation called Asia Press is training journalists and providing them with video cameras to record daily life in North Korea. The images are loaded on to memory sticks and then smuggled out through the porous border with China into Japan for wider broadcast. These are admittedly tiny cracks, but I hope that the national media-and we have heard about the role of the BBC World Service today-with encouragement from our Government and international organisations can nurse and expand on them in years to come. For every dam burst, a tiny crack is always the starting point. As the noble Baroness, Lady Cox, said, the flow of information in a country like this is absolutely crucial and we should do anything we can to encourage it. I ask my noble friend to ensure that the issue of free expression continues to be at the top of our human rights agenda for the tragic people of North Korea, for they deserve no less than that. Baroness Berridge: My Lords, I serve as an officer on the North Korea All-Party Parliamentary Group which the noble Lord, Lord Alton of Liverpool, chairs so ably. It will, alas, become clear that this membership has not given me any fluency in the Korean language. I intend to focus my remarks on the rule of law-or the lack of it-in North Korea, but I also want to mention the question of religious freedom. My noble friend will know that 179 former North Korean political prisoners and defectors recently wrote to the foreign ministers of a number of UN countries appealing for their Governments to support an international inquiry into crimes against humanity in the DPRK. A remarkable coalition of almost 50 human rights organisations, including Amnesty International, Christian Solidarity Worldwide, Human Rights Watch and the Network for North Korean Democracy and Human Rights, endorsed this request. I join the noble Lord, Lord Alton, in asking my noble friend to outline consideration given to that proposal for an international inquiry. Will she also outline how Her Majesty’s Government have responded to calls from the United Nations for individual states such as the United Kingdom to shine a light on what we all agree are systematic and heinous violations of human rights, which may possibly be the worst in the world? This request chimes with the welcome remarks of my right honourable friend William Hague, the Foreign Secretary, in calling for human rights to be a central strand of this country’s foreign policy. “for several decades egregious human rights abuses in the Democratic People’s Republic of Korea have been extensively documented by various actors, including organizations of the United Nations system”. He called for a much more rigorous approach by the international community in collating, assessing and acting upon the evidence of widespread abuses of human rights. As the coalition of human rights organisations has said, the time is long past for an urgent, thorough, independent and impartial international investigation of the system of political prisoner camps known as kwan-li-so, in which gross violations of human rights, including torture, forced labour, sexual violence and executions, are widespread and systematic. All of these have been extensively documented and highlighted during evidence-taking sessions by the All-Party Group on North Korea. Although it is 60 years since the armistice was agreed, the human consequences of the Korean War still, unfortunately, reverberate. Just before Christmas, two of the families of Korean War abductees visited Westminster. Even after the passage of so much time, these families have still not come to terms with the abduction of their loved ones. “My mother says she has given up hope of seeing him before she dies, but I know she still has hope in her heart”. 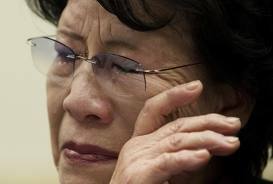 Mrs Lee’s story is one of several testimonies contained in a short book with the well chosen title, Ongoing Tragedy. In the report that the noble Lord, Lord Alton, and the noble Baroness, Lady Cox, published two years ago, Building Bridges Not Walls, they set out the case for a systematic approach based on upholding human rights and the rule of law. They have helped to encourage a growing international consensus around this objective, and it was encouraging to see, for the first time, the adoption of the annual resolution on North Korea at the UN Human Rights Council in March 2012. More recently, in November 2012, the UN General Assembly’s Social, Humanitarian and Cultural Affairs Committee also adopted the annual North Korea resolution by consensus for the first time ever. This shows increasing international resolve and momentum, but still more needs to be done, not least because, despite those resolutions, North Korea has failed to change its repressive policies. 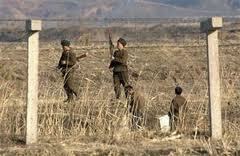 “The North Korean authorities put defectors in different categories according to the reason they left. 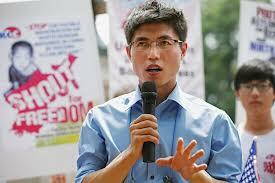 Those who bring a Bible back or have been involved with Christians in China tend to be executed”. Religious Intelligence UK estimates that there are 406,000 Christians in North Korea, and a possible further 280,000 secret Christians. None of these statistics is verifiable, but what is verifiable is the fate of those who practise their faith. In 2011, reports detailed a further campaign of execution against Christians in North Korea. At least 20 Christians were arrested and sent to the Yodok political prison camp for their faith. When the noble Lord, Lord Alton, and noble Baroness, Lady Cox, raised these reports, North Korean officials said that they were “lies” and that the execution of Christians was “impossible”. Compare that response with the evidence given here in Parliament by a Christian woman who escaped from one of the camps. Jeon Young-Ok had to undertake risky expeditions across the North Korean border to find money and food for her children, who were suffering in the deadly famine of the 1990s. “We were made to pull the beards from the faces of elderly people. Prison guards treated them like animals. The women were forced to strip. A group of us were thrown just one blanket and we were forced to pull it from one another as we tried to hide our shame. I felt like an animal, no better than a pig. I didn’t want to live”. “They tortured the Christians the most. They were denied food and sleep. They were forced to stick out their tongues and iron was pushed into it”. “The past is not important but these terrible things are still happening in North Korea”. That is why we must act. Bonhoeffer perished at the hands of the Nazi regime that was responsible for racial cleansing, slave labour, brutal torture, the disregard of lawful process and manifold abuses of human rights. Too many people turned a blind eye to all that. Our generation should not be guilty of making the same mistake. Lord Kerr of Kinlochard:The reason that I so much admire the persistence of the noble Lord, Lord Alton, on North Korea is because I share his view that ostracism is not the answer. I was the negotiator on the opening of diplomatic relations with the DPRK and I visited Pyongyang to open an embassy there. I do not think that was wrong. It seems to me that however awful the regime and its human rights record- it is awful, and its human rights record is awful-it cannot be the right answer to break off contact. The object of the exercise must be to find ways of incentivising reform. This means doing business with a very unpleasant regime, and there are no easy answers. As the right reverend Prelate said, food aid is a difficult issue. One knows that most food aid goes not to the intended recipients but to the armed forces. The industrial zone, Kaesong, is a difficult issue. It generates employment but the foreign exchange it brings in serves to prop up the regime. We should take our lead from Seoul, which clearly wants-it must, as they are relatives, friends and the same people-reform in the north as much or more than anybody else, and has more right to demand it. However, it does not want the implosion of the state. It does not want revolutionary change. It would like to see a staged reform process. This may sound idealistic but there have been one or two little signs in the changes to the current regime in Pyongyang that we ought to be trying very hard to encourage. I am very grateful to the noble Lord, Lord Alton, for instituting this debate-and I am very grateful to him and to the noble Baroness, Lady Cox, for all that they do. Contact really matters, even if often one meets people with whom one thinks one is making no progress whatever. Ostracism is not enough. Lord Triesman: My Lords, it is really important to debate this issue and I thank the noble Lord, Lord Alton, the chairman of the all-party group, for providing the opportunity. He, the noble Baroness, Lady Cox, and others, as many noble Lords have said, have often made it possible for us to give witness to crimes against humanity, inhuman conduct, humanitarian abuses and religious persecution. All of these have been graphically described by the noble Lord, Lord Alton, the right reverend Prelate the Bishop of Hereford, and by the noble Baronesses, Lady Cox and Lady Berridge. I share the view of the noble Baroness, Lady Williams, that to make these visits and to say what is said requires very great courage. I admire that and have recently also been reading about Father Jerry Hammond and understand that kind of courage as well. Sometimes it is painful to admit that terrible events occur in places where the United Kingdom has very little influence. It is not because we are indifferent to these matters but because of the historical position. We rightly demand to know what the Government are doing and what they have done. Ministers routinely, as I know, end up saying that they have raised all these concerns on all possible occasions, sometimes in the company of others. We all welcome this activity because we want to see it but in the same breath we sometimes have to acknowledge that we have a limited impact. Nonetheless, I am wholly aligned with the noble Lord, Lord Alton, the right reverend Prelate and the noble Baroness, Lady Cox, and I think that what they have demanded of us, quite rightly, is that we never look away and that we always take the positions that are needed strongly. I also greatly admire the positions taken on a number of occasions by my right honourable friend Douglas Alexander. One of the positions he has taken, if I may just make this point to the noble Baroness, Lady Berridge, is about the absence of the rule of law and the importance of trying to argue on that front as well as about religious intolerance and repression. The Question rightly draws together humanitarian crises and security. The dynamics of the internal oppression in North Korea are generated in large part by the belligerence of the state on regional and perhaps international scenes. It is surely a function of the grandiose posturing of the leaders of a small, militarised and impoverished state feeling the need to shore up their power internally that they will brook no opposition or alternative systems of thought, culture or media-as the noble Lord, Lord Black, quite rightly pointed out-or religion, art or indeed anything. It is a manifestation of a kind of paranoia, a fear of internal close-at-hand phenomena undermining them and a wildly exaggerated sense of importance, which I am afraid, some dynastic cults manage to produce among themselves. As the noble Baroness, Lady Williams, said, it is in part a product of a terrible history. It has given rise to what I can only describe as a pathology. The nation should reflect, as the right reverend Prelate the Bishop of Hereford said, on the issues of morality but I say with a heavy heart that I do not expect that to happen any time soon. Yet, however grotesque or even absurd North Korean positions are, it is a problem which is far too large for the world to ignore. The critical question is who can potentially influence events. Who might impact on the risk of a growing nuclear arsenal? Who might successfully urge the end of the development of intercontinental ballistic missiles? It seems unlikely that the North Koreans will influence these matters themselves. Their dynastic leader is perceived to be unprepared for leadership and unable, even were he willing, to corral his father’s allies. This may well produce greater internal instability, which is capable of being translated into external aggression. Indeed, it is only the routine acts of local antagonism to neighbours that we can count on as the certainties: the intercontinental rocket launch that effectively ended the huge aid mission of the United States, the leap-day deal; and the links with Iran over that rocketry. I have no doubt, as has been said, that they will make progress on it. They will have the equivalent of a Kahn in rocketry and nuclear weapons, the influence of a Werner von Braun in missiles. They will find that kind of leverage. There are threats of further nuclear tests: a third nuclear test possibly in the very near future. There has been the sinking of a South Korean warship and the bombardment of a South Korean island. There is the threat of spreading nuclear weapons, as noble Lords have mentioned, to rogue states, terrorists and non-state actors. There are the alleged cyber-attacks, denied by Pyongyang, on civil aircraft GPS guidance, although I think there is probably reasonable evidence that it happened. The sequence of provocations cannot be in any sense accidental. Can South Korea influence events? I hope so. In an extensive and revealing interview with Al-Jazeera, President Park’s closest associate at the Asian Institute for Policy Studies said that she had been principled, resolute and determined to keep her promises to achieve greater reconciliation and influence. Yet the rocket launch has become a major security concern. President Park stressed that it underlined the urgency for more diplomacy. I applaud that. However, she also notes that North Korea’s determination to sustain its nuclear programme and defy UN resolutions make it difficult. Indeed, the regime in North Korea has not only denounced her in the most unflattering terms, but described her predecessor in the past five years as bringing “nightmare, despair and catastrophe” to the region. The United Sates has probably played, at least for the time being, the key diplomatic cards available to it to achieve the short-lived leap-day deal, which has now melted away. If I am right, and in the light of the lack of any progress, the various collapses of the six-plus-one talks inevitably raises the question of the role of China. United States and Chinese assessments may be linked in a somewhat paradoxical way. The United States appears to believe that influence could be created by aid and the support of humanitarian projects. In short, North Korea would become dependent on the relationship. The noble Baroness, Lady Cox, asked whether building bridges might be the right way or creating dependence as part of the same strategy. The noble Lord, Lord Kerr, rightly argued the same point just a moment ago. It is not easy to read the Chinese thinking, but they may have concluded that, over long years, a relatively chaotic client will come to depend on the one steadfast friend it can probably count on: one source of trade, one source of military cover, one source of diplomatic umbrella, and a very powerful regional power to boot. It may be thought that this creates a kind of marginal stability which is better than anything else on offer. If that is right, the strategic choices of the United States and China are diametrically different. If the views remain this dissonant, then the prospects for much progress are probably poor. China is investing in North Korea. Surplus military equipment flows to the country. 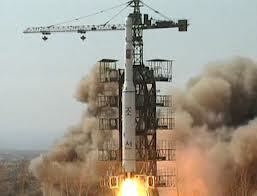 There may well be technical experts working on the North Korean rocketry. All these approaches must cause us anxiety and perplexity. I believe that we need a clear sign from China: perhaps a vote in the United Nations will be that sign. Most of all, the approaches seem at odds with China’s own economic trajectory and its growing rise into a role as a world power in international institutions. I ask whether the Government share any part of this assessment; whether they believe that there is an alternative dialogue into which life can be breathed; and whether the approach of the six-plus-one nations may be revivified in a more viable form. I also ask what is open to us beyond being the honest witnesses that I described at the beginning of my speech and the advocates for the victims of the appalling humanitarian crimes. The Senior Minister of State, Department for Communities and Local Government & Foreign and Commonwealth Office (Baroness Warsi): My Lords, I thank the noble Lord, Lord Alton of Liverpool, for calling this debate and for the active role that he has played in raising the profile of North Korean issues in Parliament. He absolutely deserves the plaudits that he has received from across the House today. Noble Lords clearly share our concerns about the North Korean security threat, and the appalling human rights and humanitarian situation there. Let me start by setting out the Government’s assessment of the current situation in North Korea. Kim Jong-un has now been in power for more than a year. Over the past 12 months there has been intense speculation as to whether this new, young, western-educated man will lead positive change in North Korea. We have certainly seen some changes in style: greater openness about his family life, more public appearances and a surprise new year’s speech claiming that North Korea wants to improve relations with South Korea, and will focus on improving its economy. It could be the distant hope to which my noble friend Lady Williams referred. However, whether any of these statements will lead to real changes for the people of North Korea remains to be seen. poses a real and severe threat to international peace and security. I add my support to much of what we heard from my noble friend Lady Williams. The UK simply cannot accept repeated violations of Security Council resolutions by the Government of Pyongyang. It was right that the UN responded to April’s satellite launch with a strongly-worded UN Security Council Presidential Statement. We are working closely with Security Council colleagues to respond to the launch which took place in December. North Korea also continues to sell its dangerous technology to any willing buyer worldwide, presenting a broader risk to peace and security. The UK continues to work with international partners to ensure that current sanctions are rigorously implemented but, as the UN Panel of Experts on North Korea noted in its most recent report, more needs to be done to help others with implementation. Noble Lords will be aware of the speculation that the South Korean President-elect, Park Guen-hye, wants to pursue dialogue with North Korea during her five-year presidency. The UK would welcome improvements in inter-Korean relations and would welcome in particular the resumption of negotiations on the denuclearisation of North Korea. However, repeated provocative acts by North Korea have made it difficult for others to engage in negotiations. We are therefore concentrating our diplomatic efforts on urging North Korea to refrain from further provocations and to take concrete steps to engage in constructive dialogue. However, the noble Lord, Lord Triesman, is right when he says that we must always be looking for opportunities in terms of who and what can influence the North Koreans. The nuclear issue is of enormous concern to the international community but, as noble Lords have set out so clearly, we must not lose sight of the situation of the people who live in North Korea. Food deprivation and malnutrition were referred to by the noble Lord, Lord Alton, and the right reverend Prelate the Bishop of Hereford. As your Lordships are well aware, North Korea has some of the most repressive controls on civil and political rights in the world. The noble Lord, Lord Alton, referred to the well publicised memoirs of Shin Dong-hyuk, which have shown that the conditions for political prisoners are truly shocking. Individual stories repeated in the House today again have shocked many of us. I remain deeply concerned about the policies of some countries that, in breach of UN conventions, continue to repatriate North Korean asylum seekers. The UK has taken a leading role in ensuring that North Korean human rights abuses have been highlighted in international fora. We co-sponsor the annual UN General Assembly resolution on human rights in North Korea. This year it was passed without a vote-a significant first. As an EU member state we co-sponsor the annual Human Rights Council resolution and have been actively lobbying North Korea to allow the UN special rapporteur access to the country. to improve the treatment of vulnerable groups. One area where we have seen some positive developments in North Korea is in the situation of people with disabilities. Due to severe social stigma, 10 years ago it was unusual to see a disabled person on the streets of Pyongyang; now this is a commonplace. Last year, the British embassy in Pyongyang provided funding for training at a deaf school in Wonsan. We also assisted the North Korean authorities in sending swimmer Rim Ju Song, the country’s first Paralympian, to London in 2012. Of course, North Korea is very far from meeting international human rights standards. However, the achievements to date in the way in which people with disabilities are perceived and treated is one small progress. We also have concerns about the humanitarian situation in North Korea. Assessments by the World Food Programme confirm that there remain chronic levels of malnutrition. There also appears to be a widening gulf between the visible relative affluence of Pyongyang and appalling conditions elsewhere in the country. The UK contributes funding to organisations operating in North Korea. Between 2011 and 2014 we will contribute £100 million to the World Food Programme’s global budget and we also contributed a fifth of the Central Emergency Response Fund’s £15.4 million funding for North Korea. The British embassy in Pyongyang has also worked with the North Korean authorities on a number of small-scale humanitarian projects, including a project to provide a safe source of soybean milk to young children. The embassy also sponsored a visit to the UK to provide training for North Korean doctors treating spinal injuries and providing rehabilitation. However, despite this work, we are clear that the North Korean Government bear significant responsibility for their failure to feed their people adequately. Of particular concern is the prioritisation of resources to the military. This year North Korea has spent hundreds of millions of dollars funding its satellite programme while simultaneously seeking aid. This money could have been spent on improving the critical infrastructure, which could have made it easier to transport food around the country, or, simply-as the noble Lord, Lord Alton, said-on food. We must continue to be clear to North Korea that it cannot just rely on aid from the international community. It needs to take measures to ensure that the right conditions are in place so all of the resources that it has available, including any aid, can be used most effectively, and it must give real and tangible priority to improving the humanitarian situation of its people. If Kim Jong-un delivers on his new year’s promise to improve the economic situation, the UK would warmly welcome this. We will focus our diplomatic efforts in the next 12 months on promoting the benefits of economic development in North Korea. However, we will not provide North Korea with development assistance over and above what we are currently providing until its Government demonstrate that they are ready to take concrete steps towards reform. of the broadcasting agreement. However, I am aware that the BBC World Service director Peter Horrocks will be speaking to the APPG on North Korea later this week and I am sure that matter will be raised with him. My noble friend Lord Black of Brentwood made a fascinating and well informed contribution. I agree with his assessment of restrictions on freedom of expression. Our concerns were reflected in the General Assembly resolution, which we co-sponsored. The British embassy in Pyongyang continuously tries to find ways in which to expose the North Korean people to the outside world-simple steps. For example, in 2010 we secured the broadcast of “Bend it Like Beckham”; we have a British Council English-language teacher training programme, and in 2012 we sent the first two achievement scholars to the UK. The noble Lord, Lord Kerr, talked about diplomatic relations with North Korea. The UK advocates a policy of critical engagement with North Korea. Engagement is the best way of communicating our views and ensuring that our messages on human rights and proliferation are understood. My noble friend Lady Berridge, the noble Baroness, Lady Cox, and the noble Lord, Lord Alton, raised the issue of the commission of inquiry. At the Australia-UK ministerial consultations on 18 January, the Foreign Secretary and the Australian Foreign Minister committed to looking at what more can be done to improve the effectiveness of UN mechanisms, including around the issue of the commission of inquiry. from DPRK are entitled to protection under the international Convention relating to the Status of Refugees. We regularly raise this matter with the Chinese Government and encourage them to work with the UN High Commissioner for Refugees. The noble Baroness, Lady Cox, raised the issue of UN mechanisms and whether North Korea has accepted assistance from the UN to engage with UN mechanisms. We are not aware of this, but the UK Government have also offered assistance in relation to North Korea’s engagement with UN mechanisms. Again, we have not received a positive response. The right reverend Prelate the Bishop of Hereford and my noble friend Lady Berridge raised the issue of persecutions of Christians in North Korea. We continue to have concerns about the persecution of people in North Korea because of their religious beliefs, and these concerns were highlighted in the 2012 United Nations General Assembly resolution. We regularly raise these concerns; we both raised and detailed how many individuals have tragically paid with their lives for simply having a faith. It is also important to note, in today’s debate, how many noble Lords who have taken part in the past have spoken of the importance of faith and of their faith. In conclusion, I am grateful to noble Lords for their contribution to this evening’s debate. We do not expect change in North Korea to come overnight. It is therefore vital that we maintain the conversation on what can be done to encourage North Korea to embark on a positive path towards change. It is also important that the North Korean authorities see firsthand the concerns that have been raised by noble Lords here today, and I therefore ask Her Majesty’s Ambassador in Pyongyang, Michael Gifford, to draw the Hansard report of this debate to the attention of the North Korean Government. If there are any specific questions which I have failed to answer in summing up, I shall make sure that officials write. If they do not, please catch me in the Lobbies, as the noble Lord, Lord Alton, said, and I shall make sure that it happens. House adjourned at 6.18 pm.